"Well, writing is incredibly cathartic in some ways. While much of Future Imperfect is autobiographical, it's still fantasy. I'd much rather write something that affects other people's lives. At the very least, I want to open their eyes to a new idea or a different way of looking at the world." - K. Ryer Breese, author of Future Imperfect. "I don’t write to change lives, I write books to enhance lives, to make them that little bit more enjoyable, to trigger a smile, a laugh, or a tear, and that includes me, writing enhances my life and makes me happy." - Leigh Fallon, author of The Carrier of the Mark. "One that changes my life. I can’t control what other people take away from my book." - Elana Johnson, author of Possession. "The lives of my readers. It means more than anything to get letters from them and hear how my books helped them or changed their perspective." - Stephanie Kuehnert, author of Ballads of Suburbia. I've been wondering for a while when mermaids would start to gain some clout in the world of paranormal YA, and the time has finally come! Honestly, what little girl hasn't wished she was a mermaid? 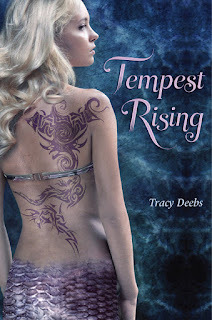 I know I have, so when I heard about Tempest Rising reading it became a must. Admittedly, I had concerns that it would be a mermaid book about a mermaid's inability to resist the call of the sea. 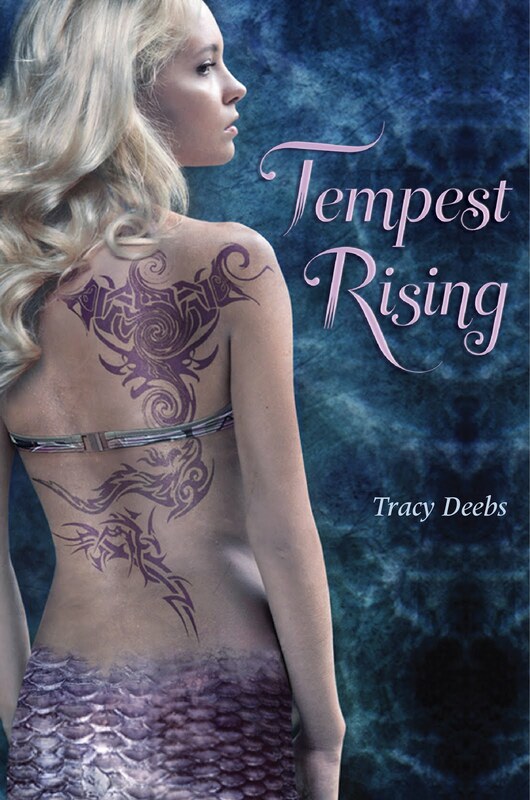 Tracy Deebs takes the story in a completely different direction where Tempest's choice ultimately remains important, but it's relationships that drive her. Despite all the changes she is undergoing, her primary concern is her father and brothers. I was blown away by that because so often teen characters let their own wants drive them and only think of the consequences as applied to them, no one else matters. That is simply not the case in this book. The only stumbling block I ran across while reading Tempest Rising was a somewhat convoluted timeline making it hard to seam up the two sides of the story - land and sea. Underwater scenes, while striking in their rich description, seemed to lack an element of time. Perhaps this was purposeful because mermaids are unconcerned with human conventions, time possibly being one of them, but I feel like a firmer timeline would have brought clarity to the story. 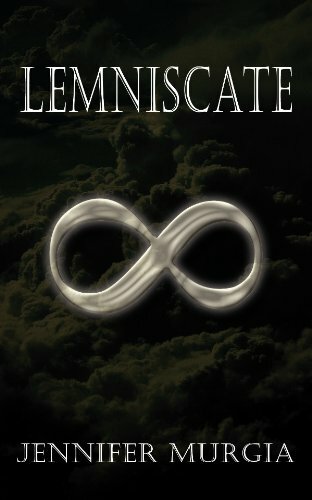 A unique voice and the direct storytelling, this book keeps a quick pace that is often absent from fantasy or even paranormal novels. I was was hooked on the start. The letter from Tempest's mother intrigued me, begging me to read more, and a brief flashback to childhood and a chilling encounter with a sea witch pulled me even deeper into the story. Action was an unexpected treat that this book brought to the table. 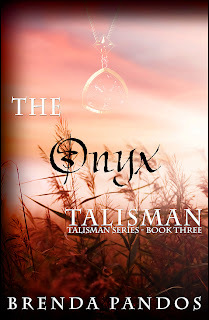 It has the girl, the makings of a love triangle, and a family with one paranormally estranged parent, so at a glance you'd think that its par for the course with paranormal. (Vampires and werewolves aside, of course.) 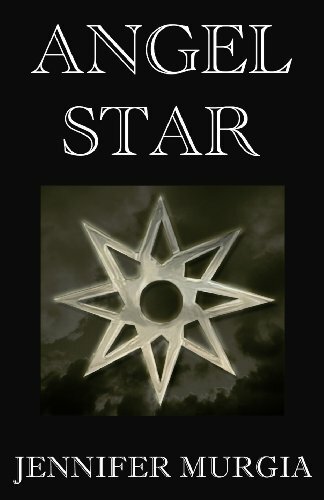 Sea witches, fight scenes, and bloodshed bridge the action of a fantasy with the mood of a great paranormal, setting it apart from others. "The Goddess Test is a sort of sequel to the myth of Hades and Persephone. 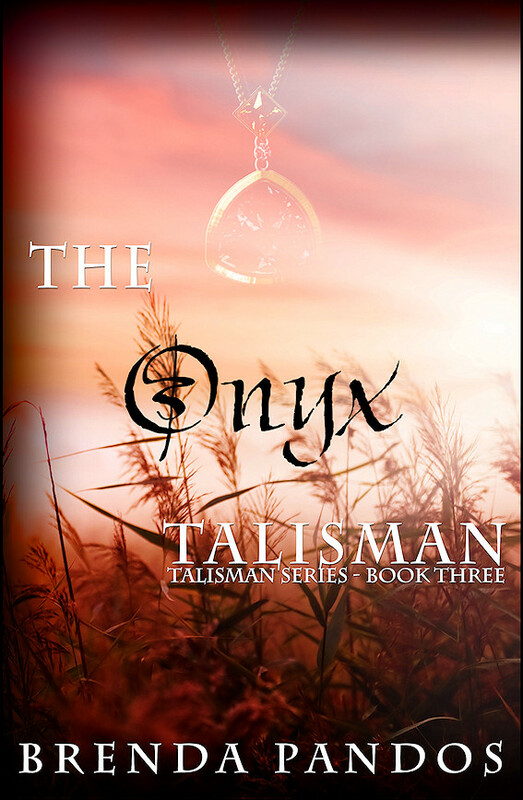 A murder mystery, romance, and fantasy all in one, it's what happens when Hades needs to find a replacement for Persephone, but someone keeps killing the candidates." - Aimee Carter, author of The Goddess Test. "The Strangely Beautiful series: Gothic novels about Victorian Ghostbusters powered by Greek Gods. The Magic Most Foul series: Gothic novels about curses, black magic, and young love in danger set in Victorian New York." - Leanna Renee Hieber, author of Darker Still and The Perilous Prophecy of Guard and Goddess. "True confession: I FAIL at elevator pitches! I'm sure it would be even worse with a stranger on the street. But I'd take a deep breath and tell this person that The Revenant is the story of a girl who lies and steals in order to teach in Indian Territory, thinking it an easy path to independence, but ends up out of her depth at a sophisticated boarding school that just happens to be haunted." - Sonia Gensler, author of The Revenant. "I wouldn’t. I’m sorry to answer this way. I just wouldn’t. I can’t imagine it. The idea of 'selling' my book to a total stranger makes me vomit. I might share a conversation with a stranger about someone else’s book, however. Something I think is incredibly fun, like Paul Murray’s Skippy Dies. Or talk about whatever they’re reading." - Randy Russell, author of Dead Rules. Author Melissa Marr gave you a sneak peek at her Graveminder swag...TWEET. Publisher's Weekly tells all about bookstore/blogger partnerships...TWEET. Author Julie Kagawa shared a Summer's Crossing teaser... TWEET. 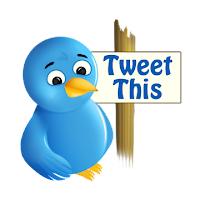 Penguin Teen showed you where you can learn more about the 13 Reasons Why Project and Jay Asher's new book... TWEET. Simon Teen told you when and where you can see the cover for Cassandra Clare's Clockwork Prince at BEA and what to do if you won't be there ... TWEET. Congratulations! I will mail your winnings out as soon as possible. Thanks to everyone ho entered, and stay tuned for more giveaways. 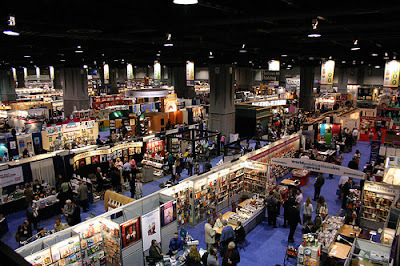 Book Expo America is only 21 days away! You've planned. You've booked the hotel, mapped out subway routes to the Javits Center, and talked to more people then you can count about what to expect. But more tips can't hurt right? The Metro - Use it. A 7-day pass is only $28 and it's worth every penny. It gains you access to all the subway lines and the buses. It's the most efficient way to travel around the city. And if you aren't sure what line your stop is on or whether you need to go uptown or downtown, don't be afraid to ask. Ask a booth worker or one of the many cops you can find in the stations. Pack comfortable shoes - This will differ for everyone, but pack the best all-day walking shoes you've got. If they don't match your outfit, who cares! You will be walking a convention center that is a NYC block wide non-stop for three full days. By 5p.m. on Day 3 your feet will be bigger than an overdue pregnant ladies if you don't heed this advice. Checking In - Take the time to get to the Javits Center early on the first day of exhibits or even the afternoon before. Getting your BEA badge early will save you time. That means you can hit the floor faster. Business Cards - If you're attending BEA, presumably you are there to make or solidify contacts with people in the industry and to learn a little bit about the inner workings of the publishing industry. Business cards with basic info on them are perfect for quickly handing off info to someone while waiting in a signing line or chatting with someone at a booth. Some of the publishers last year had "fishbowl" giveaways and cards were handy for that as well. Networking - Don't be afraid to talk to people. Yes, BEA is fast paced but you can get off a few sentences and a business card exchange without taking up too much time. Don't just go up to a booth and ask for a book. Introduce yourself, mention you're a blogger (if you are) and drop a card with them. The same goes for autographing lines. Speak to the author and give them a card. It can't hurt. Food & Drink - When it comes to eating, the Javits is an expensive place. A bottle of water you'd normally pay $1.69 for is $3.50 there and food is no better. Carry a water bottle you can refill with you on the floor. It will save you tons of cash. Also pack a few snacks in your bag. They may save you life when you forget to eat lunch amidst the BEA chaos. Schedules & Time Management - Build off of the schedule BEA has made available and set priorities. Use an excel spreadsheet, color coding, or whatever you need to, but map out the signings and panels you want to attend and rank them. If you have three things to do in one hour, designate one that you can skip if you are short on time. It will help you make quick decisions on the spot. Easy carrying - Not carrying your books at all is the easiest way to take the strain off your back. There is a baggage area where you can check a rolling suitcase, and stop by occasionally throughout the day to drop of your books. If security is your concern, someone stays at the baggage area at all times. I've heard there were instances of books going missing from that area two years ago, but I don't know if someone watched over the bags then. I didn't hear any horror stories from last year. While you'll get plenty of tote bags at BEA, the best advice I can give you is to bring a bookbag or messenger bag to hold your personal belongings, books and all the totes you accumulate. It'll take the stress off individual arms. Shipping - There is a shipping area at BEA run by FedEx (I believe), but depending on how much you are shipping it can get pricey. Your other option is to hang on to your books and walk the few blocks from the Javits Center to the post office so you can ship your BEA bounty via priority or media mail and save yourself some cash. Armchair BEA - For those of you who can't attend BEA this year, you can live vicariously through those who are going. Sign up as a participant for Armchair BEA and get updates on all things BEA. I'm not affiliated with BEA in anyway. I did attend last year and am happy to answer questions if anyone has any. Just leave it in the comments. 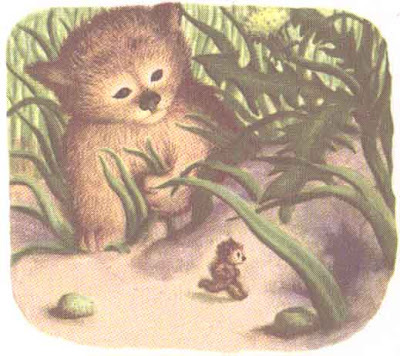 Otherwise, I'll see you all at BEA!